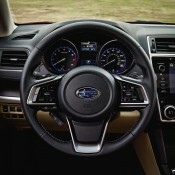 Much to the delight of every geography teacher in America Subaru has given us a glimpse of the new Legacy ahead of its debut at the Chicago Auto Show. That means they can cancel their order for a new Camry or Accord and get themselves a 2018 Subaru Legacy which will be cheaper and more reliable, just what a balding, middle-aged man with early-onset prostate problems needs! We joke, of course. 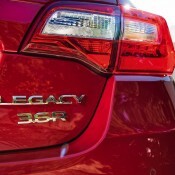 The Legacy is a lovely car with serious rally cred which offers a lot of bang for your buck. Being kind of dull is part of its charm. 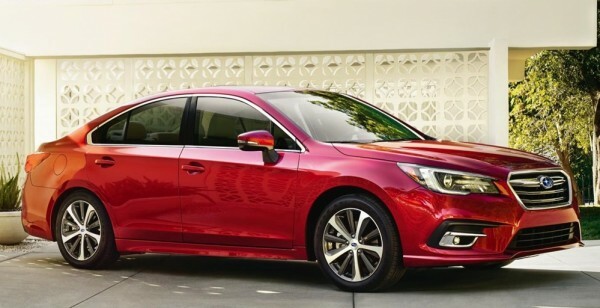 Going on sale in summer, the 2018 Subaru Legacy comes with revised front and rear aprons as well as a redesigned interior, both boasting more spice than before. You will have the choice of 2.5i or 3.6R engines, the former a 175-hp 2.5-liter 4-cylinder BOXER engine and the latter a 256-hp 3.6-liter 6-cylinder BOXER engine. 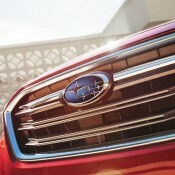 Standard on all trims are Subaru Symmetrical All-Wheel Drive and Active Torque Vectoring as well as a Lineartronic CVT transmission. 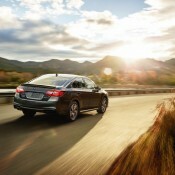 Tuned to be more responsive, quieter and more comfortable, the 2018 Subaru Legacy also benefits from new technology features as well. There is a new (available) 8-inch display screen for enhanced multimedia capabilities, SUBARU STARLINK Multimedia system with Bluetooth wireless capability, iPod control, smartphone integration with Apple CarPlay and Android Auto. Equipment-wise, you get real stitching on the dash, seats and door panels along with high-gloss black trim and silver-color bezels, depending on the trim, of course. 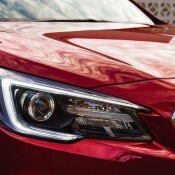 The post Official: 2018 Subaru Legacy appeared first on Motorward.